A lot of us hear the constant discussion about how the world “should be”, but most of us understand that rhetoric stands in stark comparison to how the world actually “is”. Problems should get solved. Businesses should grow. People should move here. Products and services should be provided. Infrastructure should work perfectly. People should be healthy. Businesses should start up day one with a well defined concept as profitable ventures with a healthy bottom line and loads of well paid employees… The reality is that the world is a little more complex than the “should be” utopia that many have constructed in their minds. In the realm of economic development, the reality is that communities committed to sustainable growth must “grow their own”. It would be great if businesses magically appeared that had twenty employees, millions in product sales, and a low debt to equity ratio as a start up- but that simply doesn’t happen. New business concepts need help, are often strapped for cash, and they require non-monetary resources that can help them establish a foothold that leads to eventual growth. Some of these “startup” businesses will inevitably fail. Actually, if the timeline is long enough ALL business concepts eventually “fail”. The goal is to apply the right types of resources that can generate sustainable growth in our locally owned facilities to extend their profitable life cycle. When communities successfully grow their own, they create wealth and the opportunity to produce a coveted entrepreneurial ecosystem that feeds a positive regional trajectory. Let’s break this incubation strategy down a little further. IT based incubation often revolves around making space and basic office amenities available to budding entrepreneurs. coffers, businesses can fold pretty quickly. Some business types take a while to generate a positive cash flow, and without a professional space they can operate from at an affordable rent rate, ventures can fail before they really get started. 2. Providing access to tools for product development purposes- Prototyping products is expensive. Even before you get into the legal aspects of protecting a product, the establishment of a functional “thing” that you can show to potential investors or customers requires access to expensive equipment. If equipment can be shared through an incubation space, entrepreneurs are more likely to generate successful products and make improvements to existing prototypes. 3. Engaging entrepreneurial specific education that is outcome based- You might be shocked at the number of entrepreneurs that walk into the Main Street office with a “business idea” that isn’t actually a business. Self identified “entrepreneurs” sometimes confuse “things I like to do” with “things that generate a profit”. Avoiding hobby businesses generally requires entrepreneurial specific educational systems, like the Start Your Own Business Class. The effectiveness of the systems is easy to measure in an outcomes based system by simply asking questions like “how many businesses started or expanded as a result of the class?”, or “how long did startup businesses generated through the class actually last?”. When we provide effective education, entrepreneurs are more successful, which is a telltale sign of actual incubation. 4. Offering startup related services at free or reduced rates- When a new business starts, they (new businesses) need legal advice, contract support, accounting assistance, IT networking, risk assessments, and a bunch of other professional services that they may not have a budget for. By offering reduced rates for businesses engaging in incubation processes, service based businesses can establish long term client relationships with entities that are starting off the right way, and startups can avoid expensive mistakes. 5. Generating capital resources for startup growth- Spotting opportunities is part of an entrepreneurs DNA. In the context of a startup, spotting opportunities can be a bit frustrating because entrepreneurs often don’t have the capital reserves to take advantage of opportunity presented. Working to produce financial resources for startups AND expansions can ensure that entrepreneurs can continuously improve inflows. Capital injections need to coincide with good business practices and identified opportunities (not just continuing operating capital), but incubation should include qualified access to resources. 6. Entrepreneurial friction- Entrepreneurs often succeed partially because of immersion in an entrepreneurial culture. Consistent exposure to other entrepreneurs (especially those in complimentary fields) is critical to generating “ah ha” moments and forming lasting business teams. The friction that comes from proximate working environment isn’t about generating networking based sales (startups don’t generally have a lot of extra cash to throw around), it is more about generating thoughtful discussions that can lead to market identification opportunities. 1. (Most) entrepreneurial contests- Most “class projects” are completed for class credit, not for the establishment of an actual business. Real world business assessments can be a little harsh, but they are often necessary in avoiding startup pitfalls. If students don’t actually want to start a business as they approach a contest (the vast majority don’t), then the feedback is diluted. It is easy to tell whether a contest is a successful business development tool by the number of businesses developed. If that number is low (or if the number isn’t even recorded), you’ll know what’s up. If you don’t see success rates, contests aren’t incubation. Capturing underutilized locations in dense areas for incubation purposes exposes entrepreneurs to other entrepreneurs. things. They often reach out to people to talk through their concepts and ensure their idea is on the right path. People that offer opinions without expertise aren’t incubating a business. 3. Announcing a business opening- Social media and traditional media outlets react quickly to modern news cycle, so business announcements often simply reaffirm what people already know, thus mitigating the value to the business. 4. Non- “peer to peer” networking- Once a business is well established, business tours and networking events can serve to expand brand awareness (if people participating weren’t previously aware of the brand). If businesses in startup mode get inundated with non-peer questions, it can get a little frustrating for all parties involved. Startups don’t have a lot of extra time or money, so although everyone wants to be “in the know”, the value is questionable until stability has been achieved. 5. Placing businesses on a list- Businesses want to drive people to their own website, not someone else’s web site that then links back to their website. Most businesses know that you get about two clicks before people lose interest, so their search engine optimization (SEO) is designed to drive customers directly to products, services, or information they need. Virtual incubation is not incubation. 1. “No one helped me!”- Some folks oppose help because they don’t recall help they received during a startup phase. Times are different, and businesses are more complex than ever. When we compare businesses today to the businesses of forty years ago, think about all the code issues, life safety requirements, competition (driven by the internet and chain saturation), infrastructure requirements, and financial regulations that didn’t exist. Not helping others because no one helped you is simply ignoring modern business realities. Spartan amenities with on site storage can allow incubated businesses to work on projects in phases. than they celebrate opportunity. But, when you look at areas that are growing, they are generally segments of the nation that took calculated risks. 3. Small business assistance is labor intensive- Entrepreneurs are generally doing something out of the ordinary. There is no “standard model” for most of these businesses. Officials can spend several hours per concept, including a lot of nights and weekends, and some businesses still won’t work out. Small business assistance takes creativity and a boat load of work ethic, and some people just have a hard time calculating the return on the investment. 4. It’s not what people are “good at”- Communities and regions typically develop specialties over time. Business types that don’t fit within predefined categories are sometimes viewed with skepticism because financiers, community members, and support mechanisms simply aren’t used to the business type. 5. The business models aren’t what people are used to- Tech based businesses are vastly different than those that produce “widgets”. Again, some people avoid business models that they can’t grasp. 6. Modern startups sometimes require human resources that are in short supply- Tech based businesses in particular fight for talent. Modern computers and automation are doing some of the more repetitive business tasks, and the education necessary to fulfill needs of some modern businesses. If existing labor supplies can’t be readily identified, some people back away from the concept. 1. Encourage outcome based entrepreneurial education- Supporting local educators as we collectively seek to create the best schools in the region can attract new entrepreneurs. Encouraging officials to start the entrepreneurial education process early, and repeat curriculum segments often, can instill an entrepreneurial mind set in students. Again, the process needs to engage students in creating actual business concepts. 2. Spend with local businesses- People want to open local businesses when they view local entrepreneurs as successful. If local businesses have a high churn rate, people with good concepts may hesitate to jump into the market. 3. Support density- Entrepreneurs are more successful when they are in close proximity to other entrepreneurs. Encouraging dense community design can aid entrepreneurs in forming incubated niches. 4. 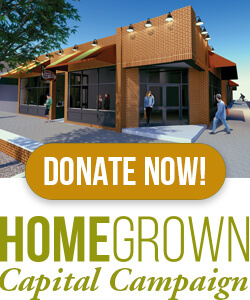 Donate to economic and community development initiatives- Some of the resources identified to help entrepreneurs incubate are only available through community support mechanisms. Outside businesses rarely invest in communities that don’t invest in themselves. 5. Advocate for entrepreneurship- Supporting local business takes some cultural peer pressure to take hold. Letting the general population know that entrepreneurship is supported within the community can encourage citizens to identify “growing their own” business as a real opportunity. 6. Encourage “node” development- When you talk to entrepreneurs, remind them to locate next to other entrepreneurs. And, the closer they can locate next to entrepreneurs of the same basic categorical type, generally the better both businesses perform. 1. We hate to burst your bubble- Remember when we said “all businesses have life cycles”? It’s just a matter of time before a business sees decline. Communities that can’t diversify through entrepreneurship are susceptible to rapid decline if a large entity closes. 2. Population decline- People that can’t find the types of jobs they want, and the community culture they want, will choose another community. People vote with their feet for the types of community they want to live in, and many people are choosing entrepreneurial friendly areas. Tech made available doesn’t always have to be super complex, but there is efficiency in shared use of equipment. the supply of the available workforce. They create some businesses with technical jobs that require higher wages, and local ownership retains wealth locally. Without a healthy entrepreneurial environment, wages will stay static (or decline). 4. Tax base as a function of infrastructure- Dense developments are better for entrepreneurs, but they also are better for a community tax base. The less square feet of infrastructure per person, the cheaper maintenance costs. When those dense developments are occupied by businesses, the value of property increases relative to infrastructure costs. Without incubation, communities sprawl and infrastructure costs per taxpayer increase. 5. Education system plateaus- Entrepreneurs pursue emerging opportunities, and they typically value creativity, expertise, and they (on average) give back more to their local community (including local educational institutions). The number one indicator for educational success in students is that their parents “value education”. Incubated businesses in most modern business categories require employees with additional education and specialty skills training, thus embedding the value of education in local families. Without engaged families that value the best in education for their children, systems can either plateau or fail to reach their maximum potential. 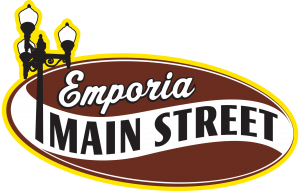 What does a healthy entrepreneurial ecosystem look like for Emporia? There are signs that a community supports the incubation and development of entrepreneurial ventures. Below are a few hallmarks of supportive entrepreneurial ecosystems. Can you spot any of these in Emporia? 1. More excitement about the small- Citizens that value an incubated environmental ecosystem get just as excited (or more excited) about the new small business or dense development occurring as they do about a “next big thing”. 2. Vaccinates against brand addiction- Instead of openly wishing that “brand X” would come to town, locals recognize that wealth is retained in a community when locals provide businesses that satisfy the needs/wants of citizens. People look to entrepreneurs to offer categorical options, and value the unique local offerings, instead of viewing a brand name as some sort of status symbol. Collaborative communities can share expertise by building teams of people that posses needed skills. ecosystems truly take hold when local citizens view local business concepts as a viable investment opportunity. 4. The vibe- The excitement for new opportunities is typically coupled with a “feeling” in entrepreneurial ecosystems that we (local citizens) can positively impact our community by directly contributing our time, talent, and treasure to our collective growth. Incubation is about a singular entity engaging is something larger for shared success, and citizens that are part of a “we” typically interact with their community on a more positive basis. 5. Others notice, but they can’t replicate- The unique nature of incubated businesses makes their collective success in a community hard to duplicate. Surrounding communities in conservative areas typically look at perceived successes in their neighbors to “do what they are doing.” When communities incubate entrepreneurial ventures, it becomes more difficult to replicate your neighbors success, and communities start standing out. 6. Problems are solved, not symptoms- Entrepreneurs spot opportunities and mitigate threats. When entering a market that consumers are willing to support with their expenditures, entrepreneurs must address underlying issues. The ability to solve for the root causes of problems is a great asset for communities. Communities that successfully incubate entrepreneurs typically see statistical changes in poverty, crime, educational attainment and a variety of different social issues. They don’t just talk about problems- they solve for them. 7. Sustainable growth occurs- Instead of just participating in the endless cycle of recruiting, communities that successfully incubate entrepreneurial ventures sustainable grow their economy on a yearly basis. Population, median household income, and jobs available grow as a result of an environment that supports a steady growth pattern among emerging business types. MANY communities have solid incubator programs in high growth areas throughout the United States. Kansas has been a little slow to catch on to this effective trend. However, most incubation programs don’t blend all of the elements of incubation listed above together. When we can integrate product/service development, space availability, capital, economic gardening, entrepreneurial specific education, service teams, permanent real estate lease/acquisition, leveraged financing, peer to peer coordination, and investment platform education together, we can grow entrepreneurship with higher success rates and better business outcomes. Can I rent a room for a graduation party on May 11th? I am sorry, but we are already booked. If you are still in need of a location, let me know and I can provide a list of options.